Evans remains to this day a close friend of Hockney's with the artist including a portrait of Gregory in last years David Hockney RA: 82 Portraits and 1 Still-life exhibition at the Royal Academy. 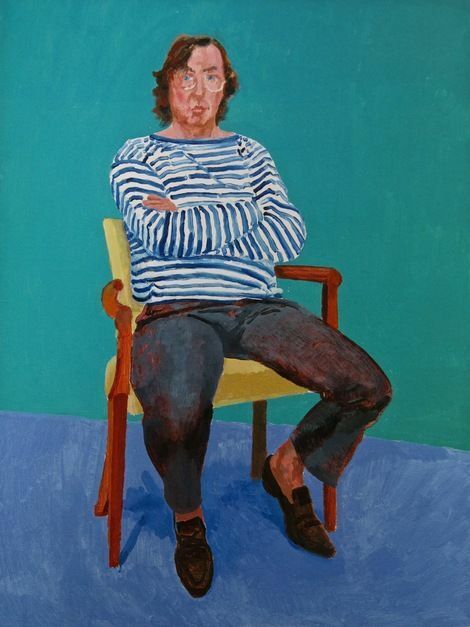 For the exhibition, Hockney created each work exactly the same size, with his sitter in the same chair, against the same vivid blue background and all were painted in the same time frame of three days. Hockney also painted famed gallerists John Baldessari and Larry Gagosian for the show. In 2014, Gregory curated David Hockney: A Bigger Exhibition, which focused on Hockney's work from the early 1990s, at San Francisco's de Young galleries. 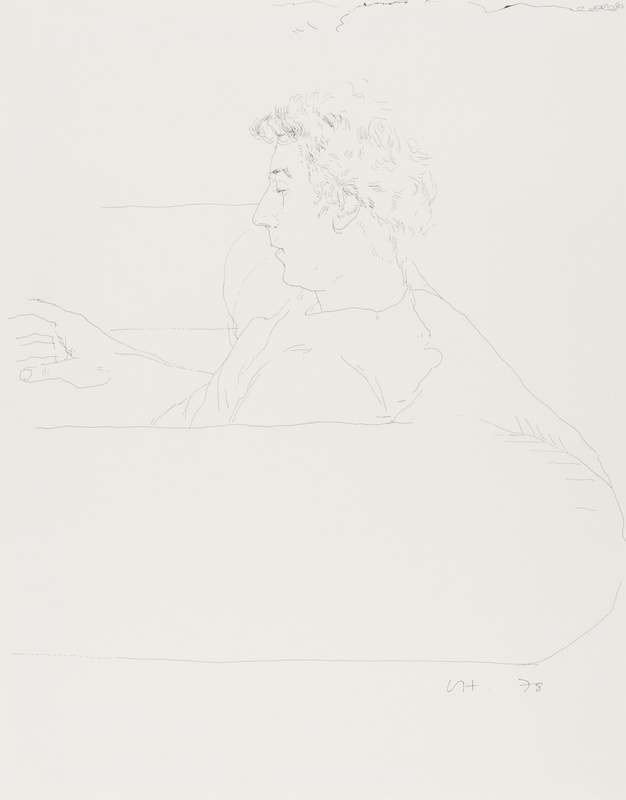 This line drawing from 1978, hitting the auction block at Forum, depicts Gregory sitting on a sofa and was completed in India ink. Hockney focused on line drawings for a period from 1965. They are regarded as some of his best works due to their simplicity and technical difficulty, with similar works having sold for over $120 000 at auction. Check out more realized prices for David Hockney here. The auction will also include works by Francis Bacon, Banksy, Jean Michel Basquiat, Joseph Beuys, Patrick Caulfield, Marc Chagall, Salvador Dali, Tracey Emin, Terry Frost, Richard Hamilton, Keith Haring, Jeff Koons, Roy Lichtenstein, Henri Matisse, Takashi Murakami, Pablo Picasso, Andy Warhol and Christopher Wool. Check out the full catalog here.